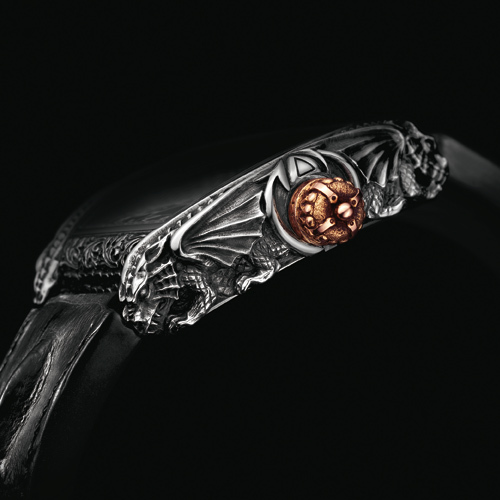 For the second timepiece in the AGONIUM collection, DRACO, Daniel Strom gives a creature of legend - the dragon - pride of place. DRACO is intended above all as a metaphor. 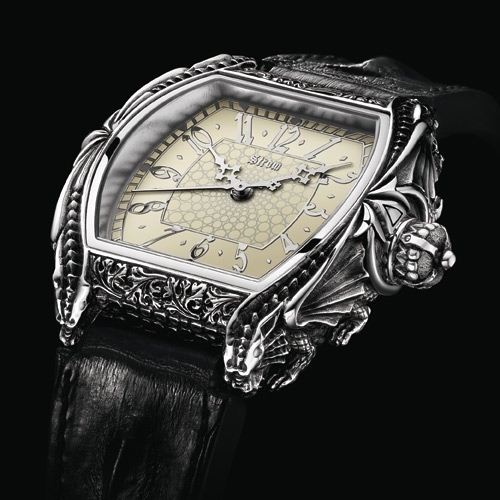 It is a symbolic jewel first, a timepiece second. Noble gold, silver, platinum and palladium lend their force and their qualities, allowing themselves to be wrought by the artist's talent. 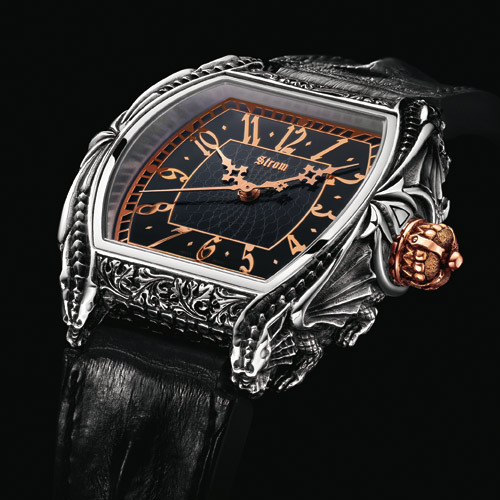 First skulls, then dragons and soon angels embody the myths which this watchmaker most values. The sculptural case protects the more delicate one that surrounds the movement, an ETA 2824 calibre. The "bone white" or black dial with a craquelure effect completes the picture, protected by a curved anti-reflective sapphire crystal. Time flows from twelve Arabic numerals, swept by polished hands.